I believe something needs to be said-actually, a lot of things need to be said but I need to say this first. I totally recommend this book to be listened to instead of read. For me, I got the luxury of reading it on my kindle and listening to it but I found so many weird dance words that I couldn’t pronounce so with the audiobook help, everything was much more convenient. Additionally, the narrator had a beautiful voice that was played well. Due to my incoherent mind, this review will be a rather horrible sob of mix matched words. Hazel Grace is a cogent female heroine. Beautiful, smart, relatable, strong and realistic person. John Green, you are amazingly cruel yet awesome at the same time. I hate you for many things now, but I love you for more reasons. For example, the characters you created in this book. Augustus Waters….I don’t think I can say anything without leaving spoilers, and I hate spoilers so let us say that he was equally strong, and had some adorable charming features. The chemistry Hazel and Gus had was phenomenally the best I’ve encountered for some time. It was just so perfect and not dragging on and on. I just love them sooooo much!! Yes, I totally agree. TFiOS = the best kind of crying. This book is one of the things that got me into YA contemporary, and introduced me to John Green’s genius, which in turn introduced me to Vlogbrothers and Hank Green’s genius…. Basically I owe one sleepless night of reading, a box of used Kleenex, and countless sleepless nights on YouTube to John Green. Great review, and beautiful blog! I love the purple. Seriously…I’m like a kid with a shiny object when I see purple. I read TFIOS just a couple of weeks ago, and yup, I cried, too. As many fabulous things as I’d heard about it, I avoided it due to the tissue factor. So glad that I finally read it, and I rated it 5 stars, too. This was my first John Green book, but it won’t be my last. I never really cry when I read books But I did for this one- it so so heart breaking and a beautiful book!! My reaction to the book was vastly different. I felt as if Green took advantage of readers emotions by his usage of cancer in the book. TFIOS started off good for me but then, the characters turned a bit verbose. I understood the fact that Green was trying to imply that death makes you wiser however, the characters just made me want to put the book done at one point due to philosophical overload. Yet, I did feel sad for Hazel when Gus died. 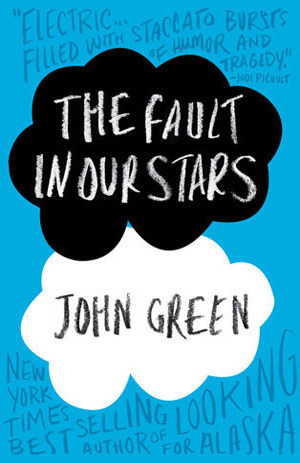 I absolutely loved this book… it took me awhile to finally pick it up (and it was my first John Green book!) But I devoured it, and yes I was a total mess long before the end of the book. I love when a book does that too me! I’m just at the beginning of this book but I can’t wait to finish reading it! I’m hoping I’ll love it just as much as you did.